Here’s a light, creamy dish that’s perfect for a summer day! It uses one of our favorite sweeteners, xylitol, which is an easy swap for sugar. 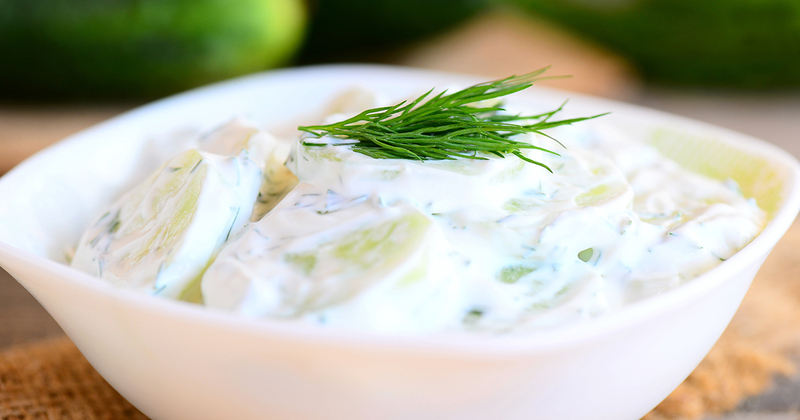 This dairy-free cucumber salad goes great with organic chicken or wild caught fish. Add xylitol to vegenaise and set aside. This gives the xylitol a chance to dissolve. Combine cucumbers, salt and onion. Right before serving, add dressing. Add onions and salt to cucumbers. Let sit for a few hours. This will allow the moisture to come out of the cucumbers. Drain excess water and add dressing before serving. This method, although it takes longer, will keep the cucumber salad less runny if it is stored for any amount of time before consuming. Top with organic dill for added flavor if desired.